On a recent drive from Reno to Los Angeles, I had a few extra hours and chose to make a quick drive through Yosemite National Park. I’ve been to the park many times, but it’s been a very long while since I visited the area known as Glacier Point. 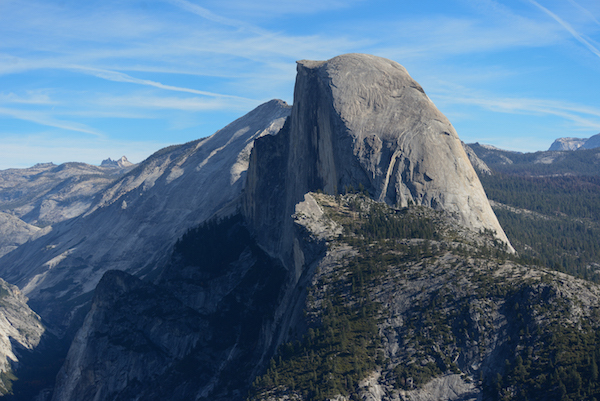 Here you will witness an astonishing view of Yosemite Valley and its inspirational surroundings. Every once in a while, I snap an image which has an emotional effect on me. The formation straight ahead is the iconic Half Dome. This photograph reminds me of the first time I experienced this awesome sight more than 40 years ago. I feel much of the same awe that I felt when I was much younger. It’s simply amazing.